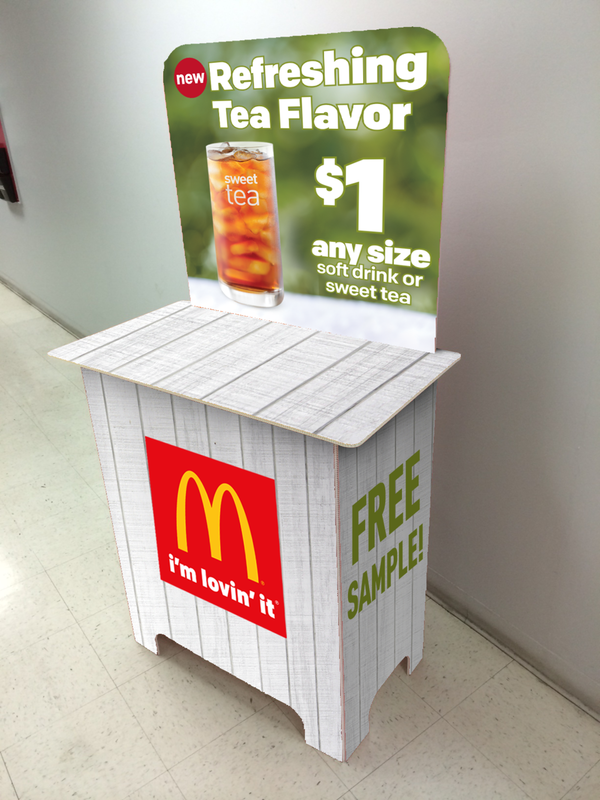 This convenient free standing sampling display is well-designed, portable, durable and reusable. With eye-catching graphics, easily promote new products to your customers. Disposable or save it for your next promotion!